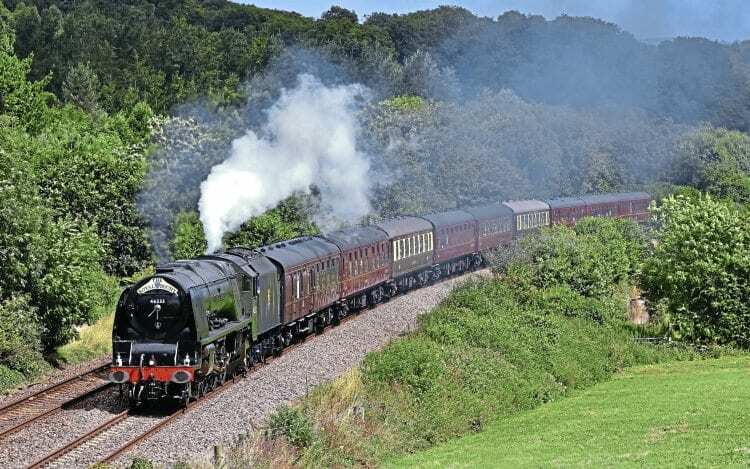 STEAM tours into Cornwall are feasible again with the revival of fortunes of the turntable at St Blazey, Par. The 65ft table has been in and out of use over the past couple of years, but a Railway Heritage Trust and Railway Touring Company-funded initiative enabled it to be repaired by Cambrian Transport and volunteers from the Bodmin & Wenford Railway. Its recommissioning means that steam engines can be reversed in Cornwall, without having to return to Plymouth to make use of the ‘triangle’ near Laira. The DB Schenker-owned turntable was brought back into use in time for ‘Princess Coronation’ Pacific Duchess of Sutherland to be turned during the layover of the August 7 ‘Royal Duchy’.